Maldon is located in Essex in the south east of England. The seat was created in its current form in 2010. 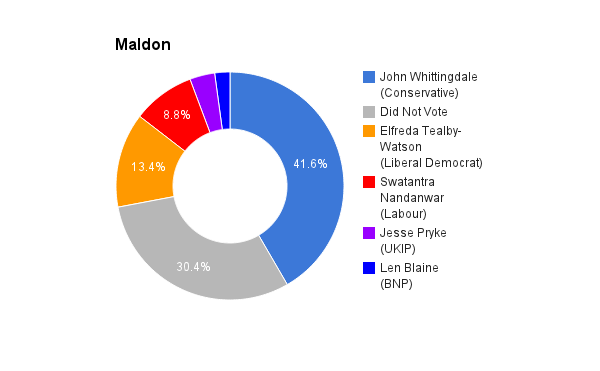 The current member of parliament is the Conservative Party’s John Whittingdale who has served since 2010 (Maldon and East Chelmsford 1997-2010 and South Colchester and Maldon 1992-1997).